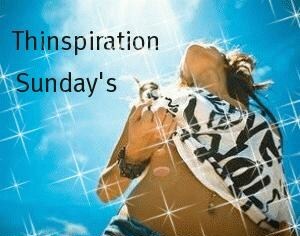 Join me for Thinspiration Sunday's (I'm late... sorry) and create your own weight loss post to help inspire you to keep on track. It can be photos, poetry, recipes, or a diet tip. Make sure to have fun, and good luck! Since my last weigh-in I've lost 7.5Lbs! Not bad eh?! That's like losing a pound a day! I'm now on pureed foods, and made two of my favourite soups... lentil, as well as cauliflower soup. Mmm! I will make sure they're posted on my recipe blog, so you can go print them out and enjoy as much as I do! Hi, and thanks for hosting. Blog Hops For Every Day Of The Week! I promise to donate $2 to Japan relief efforts for each new Google Friend Connect Follower of my blog throughout the remainder of March! I'm also working on a weight loss journey--it is tough for everyone, no matter where they start and where they want to end up. It is a million little choices to say no to delicious things and yes to sweat and huffing and puffing but in the end, we all know how good it will feel and be worth it. Great job on your huge loss this week and keep up the good work! Shakeology is a healthy shake which is used as a rich source of supplements that provide the human body full vitamins.This shake can be used for people who want to lose weight as well as.This shake has all the nutrients and minerals that the body requires.this shakes build the body and repair muscles. Congrats on the weight lost. Though I am a little concerned how you are losing the weight. Denying yourself of all food may help you to lose weight but it may return once you begin eating properly again.